Endometriosis is rooted in both an autoimmune reaction within the body and a hormonal imbalance of estrogen excess. 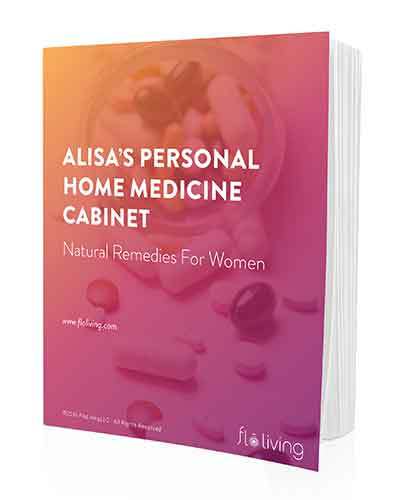 My protocol for women with endometriosis addresses these core issues by strengthening the immune system and re-balancing hormone levels through boosted liver function. While I always, always have a “food first” mindset when addressing the symptoms of endometriosis, and any reproductive health issue, I have found supplements can supercharge the work of food in the body and speed up the process of symptom management and recovery. In previous blog posts I’ve detailed the right dietary approach to endometriosis, including the foods you should avoid, and the strategies to adopt, as well as diving deep on the emotional root of the problem. Once you have these elements of the protocol underway, it’s time to look at the best supplements to add to your daily routine. 1. Milk thistle – this herb contains the antioxidant silymarin, repairs the cells in your liver and protects cells from damage (thereby regenerating the strength of the liver to detox the body of excess estrogen), and it is anti-inflammatory. So, this is one powerful herb for endometriosis! 2. Evening primrose oil – an essential fatty acid in Evening Primrose Oil called gamma-linolenic acid (GLA) is anti-inflammatory and acts to inhibit tumor growth in those with endometriosis. GLA is actually converted into prostaglandins that work against the pain-causing and tumor stimulating prostaglandins. There are 3 types of prostaglandins – PgE1,2, and 3. PgE2 is the one that causes uterine contractions and pain. Then there are two – PgE1 and PgE3 – that counteract the contractions and are antispasmodic i.e. natural pain killers. The goal is to increase your good prostaglandins to offset the effects of the bad prostaglandins. 3. B6 – an excess of estrogen can be re-balanced with an increase in progesterone and B6 is the best vitamin for boosting progesterone production. B6 supports the development of the corpus luteum, which is where all your progesterone springs from. B6 also specifically works with liver enzymes to remove excess estrogen from the body and boosts the immune system to prevent autoimmune response. 4. 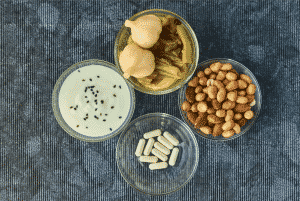 Probiotics – a healthy microbiome is essential for management of endometriosis. There’s a community of gut bacteria and specifically bacterial genes, called the estrobolome, that produce an enzyme that supports the metabolization of estrogen. Your gut is an important part of the elimination system that is vital in ushering hormones out of the body. 5. DIM – diindolylmethane supports the body in eliminating excess estrogen. DIM is derived from cruciferous vegetables like cauliflower and broccoli. It metabolizes estrogen into components easily assimilated and removed by the body, and avoids the development of estrogen dominance. **NOTE – use EITHER the Milk Thistle OR the DIM, but not both at the same time! Great article, Alisa! Just curious as to why the DIM and milk thistle are not good together? Thank you! I generally don’t recommend over stimnulating the liver! would you recommend also Vitex for pain/cramps? also do you feel drinking nettle and raseberry leaf tea can help ? I would want to know more abour your symptoms before recommending a supplement! If you can please schedule a session with one of my coaches, and they can go over your bloodwork, your health history and get you on track to feel better asap. Thank you for this post! I have read that Milk Thistle can act like estrogen in the body? It may have been misinformation. What are your thoughts? Can you explain the reasoning behind not taking milk thistle and DIM together? Hi Tammy, Yes! Please see my response to Rachel! Thanks for these recommendations, I have a few friends who I know will benefit from this info so I’ll be sure to pass it on. Is there a particular brand that you recommend? Do you purchase them from Iherb? I like Jarrow, Gaia Herbs, Pure Encapsulations, Barleans (EPO) and Garden of Life! Where ever you can get this is great! Thank you for all of the insight into endometriosis. I first had surgery when I was 17 due to endometriosis and was immediately put on birth control. I have been in the process of finding alternative methods to maintain a regular period and manage my endometriosis. I recently looked up Milk Thistle and saw that it mimics the effects of estrogen, just curious if this has any validity? Hi Ashley, Milk Thistle can be slightly phyto estrogenic. If you want to try a supplement to support your liver, you can take Calcium D-Glucarate. Can you explain why Milk Thistle and DIM should NOT be taken at the same time? Please see my reponse to Rachel! Great article, I came across your page by accident, but am so glad I did! Question for you, I’m 50, been on birth control since 37 when it was discovered through surgery I had a severe case of and, but no pain symptoms, weird! So fast forward I’m seeing a nutritionist, who has me going gluten/dairy free. I feel Great! And taking a few herbs/food based vitamins, one of which makes my spleen work harder to clear up some of the endo mess inside. Have you heard of this approach? So glad you are feeling great! Going off gluten and dairy is certain helpful, and herbs and supplements can also support the right hormone balance to reduce symptoms, so keep it up! You should only take EPO during your luteal phase – to know when yours is, you have to chart your cycle (read the book ‘Taking Charge of Your Fertility’). Is it safe to take Evening Primrose Oil and Dong Quai at the same time? Thanks! Take either one of the supplements you mentioned – it will help. Other than that, there is a lot you can do with diet and lifestyle shifts to support hormonal balance that will reduce symptoms from endo. Please reach out to my team if we can give you more support! I have been diagnosed with moderate endometriosis, but I also have some pretty intense liver inflammation. I currently take probiotics, evening primrose oil, and fish oil, which all improve my symptoms. I still have some bowel issues, so I am looking to find a supplement that can help with that. I am considering Milk thistle, but I am not sure of the dose. What do you recommend? Hey Alisa, I am newly diagnosed with endometriosis (adenomyosis to be exactly) and I am set up for the surgery in about 3 weeks. now I’m reading so much of healing it here on floliving, all the things that are still out there to try. I’m scared that it will be worse after the surgery. do you have a recommendation for me? some women feel better after it, some even worse and as my endo has a really big impact on my life I desperately want to get rid of it or get it under control at least. in april I have an appointment with an endocrinologist and I can’t decide if I should wait for that and suffer two more cycles or just do the surgery. Sometimes surgery can be a really good way to go, but you have to have a lifestyle and diet in place so that the tissue doesn’t just grow right back. The Flo protocol is geared to help you manage your endometriosis, but cannot heal it. Please schedule an initial 30 minute consult with one of my counselors if you want to explore the natural route more – they can help you see the best path forward! 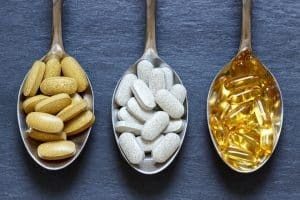 Can I add Omega 3 to this supplements for endometriosis? Hi does repairing the gut and liver get rid of endometriosis or just reduce the symptoms/pain? If yes to total repair- what kind of time duration to heal? I have just stocked up on probiotic, l glutamine and quercetin supplements. 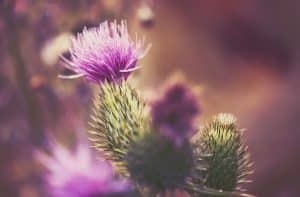 Does the milk thistle help remove the endometriosis and will I be able to get pregnant? I have endometriosis and currently taking Visanne. Is it safe to take EPO? If yes what is the dosing regiment? Thanks! I have severe pain post menses till 14 day . I have to take painkillers.My weight is also increasing.please help me how can I reduce my pain. I just want to let you know that based on this post, I chose to begin using a milk thistle extract. After exacerbating my endometriosis symptoms and having the longest period of my life (10 days), I decided to research everything a bit further. It turns out that milk thistle SEED is good for endometriosis, but milk thistle LEAD is very bad for endometriosis, breast cancer, and any other estrogenic conditions. Turns out I was using a milk thistle lead and seed extract combination in the supplement I took. Breast cancer organizations advise survivors not to use milk thistle leaf. I can’t say for sure if the milk thistle caused my terrible cycle, but it seems quite possible. Just want to comment on this because if my terrible cycle was caused by milk thistle leaf, I want to make sure others who suffer from endometriosis, which is bad enough as is, don’t make the same mistake and take milk thistle leaf extract. It can really depend on your symptoms and also the severity. You, of course, want to make sure that you are making dietary and lifestyle changes first. Supplements can only do so much. You can start by taking the DIM during the 2 weeks of luteal. What dose of milk thistle and evening primrose should you take a day?? 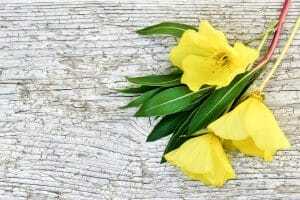 Is it safe to take evening primrose oil and DIM together?